Aloha: We are very excited to introduce the new Malama Kama’aina Wellness Program. Effective 2/1/18 our old membership programs were replaced with the new wellness program which better reflects the purpose of the plan: To make it easier for everyone to incorporate the healthy services we offer into their lives to better care for themselves. Massages, esthetics services, infrared saunas and body treatments have many documented health benefits ranging from stress reduction, to pain relief, to skin revitalization and more. Participants of our wellness program are considered kama’aina at the spa. Malama Kama’aina! Malama means to “care for” and our plan is about caring for you. As kama’aina you receive a host of benefits designed to help you better avail yourself of our wellness oriented services. 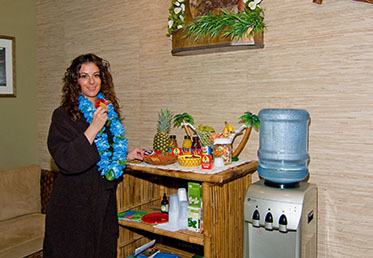 You also receive benefits that help you share the healthy spa lifestyle with friends and family. Enrollment Promotion: For a limited time we are offering a special promotion to join our wellness plan that includes $60 off the one-time enrollment fee plus a gift bag with goodies valued over $200! See our wellness plan page for details about the plan benefits and the above special offer!